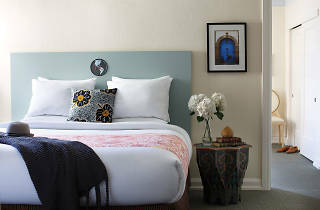 One of the city's best-value mid-range hotels, the Carlton got a total makeover in 2013, but because it's just beyond the usual tourist path, rates are lower than at comparable Union Square-area hotels. This is an older building, built in the 1920, with fire-sprinkler pipes running along the hallway ceilings, but there's nothing old-fashioned about the finishes in the rooms, which include iPod docks, multiple surge-protected outlets, and Keurig coffeemakers. 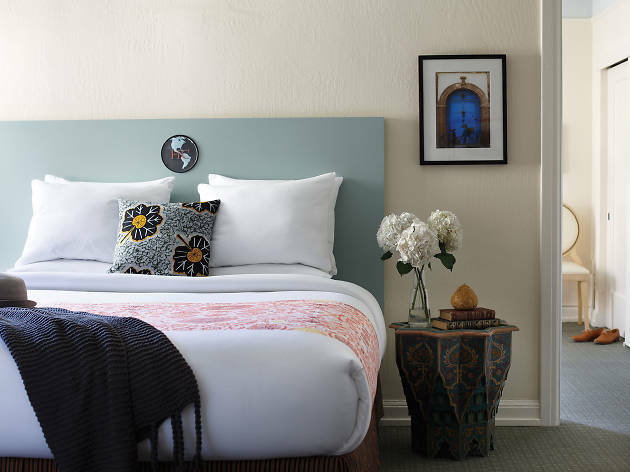 The design aesthetic draws inspiration from Morocco, with lush jewel tones playing off white-on-white bed linens. The subway-tile bathrooms are compact, but have enough room to unpack your things. If you're a light sleeper, request a high floor and a room without a connecting door. One of the best! we really enjoy it!